Salmon. Under a draft plan released this summer, commercial fishermen in Southeast Alaska would get only a small portion of the 56.3 million dollars appropriated by Congress to address a pink salmon disaster in 2016. However, workers at seafood processing plants that year could be in line for some of the money as well. More here. USAG submitted comments addressing all the suggested components and asked again for inclusion in the process. Alaska will see a reduced salmon allocation under a proposed salmon treaty deal with Canada. That’s according to a proposed 10-year extension of the Pacific Salmon Treaty.Listen now For more than 30 years, the Pacific Salmon Commission has allocated salmon stocks shared between the U.S. and Canada. It’s re-negotiated every 10 years, and the latest version expires at the end of 2018. Formal talks finished in mid-August. Now, the numbers are out: Alaska will accept a 7.5 percent reduction, compared to 12.5 percent for Canada. In Washington and Oregon, the cuts range from 5 to 15 percent. Petersburg’s Rainforest Festival teaches about salmon with workshops and trips discussing life cycles and why we are seeing smaller fish. Salmon Hatcheries/BOF. The Board of Fisheries (BOF) will convene a special work session on October 15-16, 2018 in Anchorage, Alaska. The Board will hear salmon hatchery reports from the Department of Fish & Game and will engage in a salmon hatcheries forum discussion. This discussion and the outcome of the Board’s decisions at the meeting can have a critical impact on statewide hatchery programs and all salmon fisheries that benefit from hatchery production. 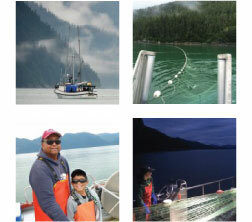 As gillnetters, we count on sustainable salmon fisheries and strong hatchery production and USAG’s mission is to protect, serve and enhance the gillnet fleet of southeast. We continually advocate on behalf of your business by, in part, supporting our regional hatcheries. You can learn more and support them HERE. This new group Salmon Hatcheries for Alaska will submit your comment to the Board of Fisheries before the comment deadline on Wednesday, October 3, 2018. Transboundary. Here’s a film of a backpacking team that travels to examine the devastation from the Mount Polley Mine as well as at-risk lands as new mines develop in the area. And, of course, the film is packed with adventure. Imperial Metals, the owner of the Mount Polley and Red Chris copper-gold mines in British Columbia, is “totally on the brink” of bankruptcy according to a mining accounting expert. The Tulsequah Chief mine has been polluting the Taku Watershed with acid mine drainage (AMD) for over 60 years now. This pollution is in violation of British Columbia and Canadian laws and mine permits. The most recent study done by B.C. found “unacceptable risks” from the toxic drainage. Three years ago the B.C. Mines Minister visited Juneau and promised to remedy the problem, yet nothing has been done. So, why is the pollution still happening? Politics. The group Stand for Alaska — Vote No on One is accusing organizations behind the fish habitat protection initiative of “flouting Alaska’s campaign finance laws” and misleading voters about their money. I hope you had a great season! Thank you for your support of USAG. 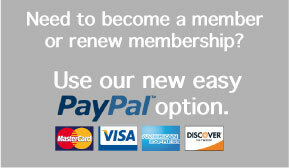 If you need to renew, please see a board member, or click here!